DIG OUT THAT OLD MOBILE PHONE – we have asked Charlie Dimmock to dig one out too!! 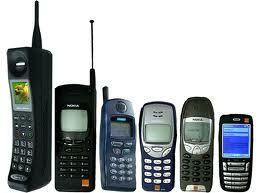 When you come to The Homes Gardens and Outdoor Living Show please please bring us your old mobile phone. Goodness only knows why, but most of us have an old mobile tucked away in a drawer somewhere. OK it is not good for the environment if you just chuck it in the bin, but for the life of me I don’t know why we all keep our old ones! Well if you are coming to Homes Gardens and Outdoor Living Show on Tuesday 22nd and Wednesday 23rd of May at San Miguel Castle please bring any old mobile phones you have with you – they will be recycled and any money raised will go to the charity Paul Cunningham Nurses. The ‘phones can be in any condition because even with the broken ones there are some parts that can be used. If you have the charger then that’s great but it is not essential. The Show opens at 11.00a.m. each day until 8.00p.m. and there will be a huge collecting bin for all of the ‘phones we hope you will bring! We are just setting up a network of collecting points in all areas and you can take your phone listed below are just a few, however, if you do not live near any of these places you can call 639 318 526 for a nearer location or visit www.paulcunninghamnurses.com as we will be adding new locations every week.